You can remove the toughest of stains with this LG Washing Machine. 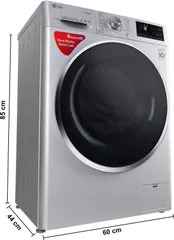 It is equipped with amazing features that make your laundry day easy and hassle-free. 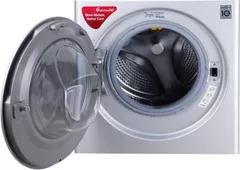 The TurboWash Technology helps you save energy and water by bringing down the time of a wash program down to 59 minutes. 99.9% Allergens Reduced with Steam This LG Washing Machine uses Steam to reduce allergens by 99.9% and also sterilises bacteria. 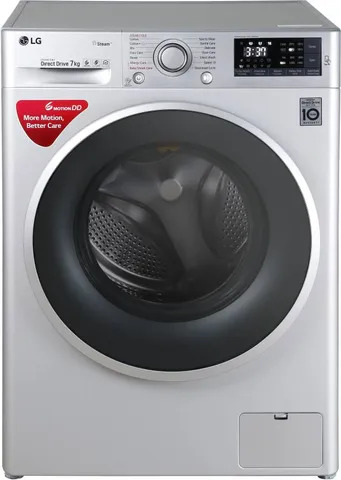 Less Vibration, Less Noise The Direct Drive Motor which powers this machine makes sure that you don t make a racket every time you wash your laundry. 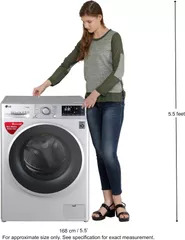 Smart Convenience with Wifi The SmartThinQ Technology helps you operate and monitor the washing machine from wherever you are. You can track your energy consumption and also use the Download Cycle to add newly developed wash cycles according to your preferences.